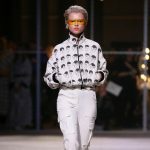 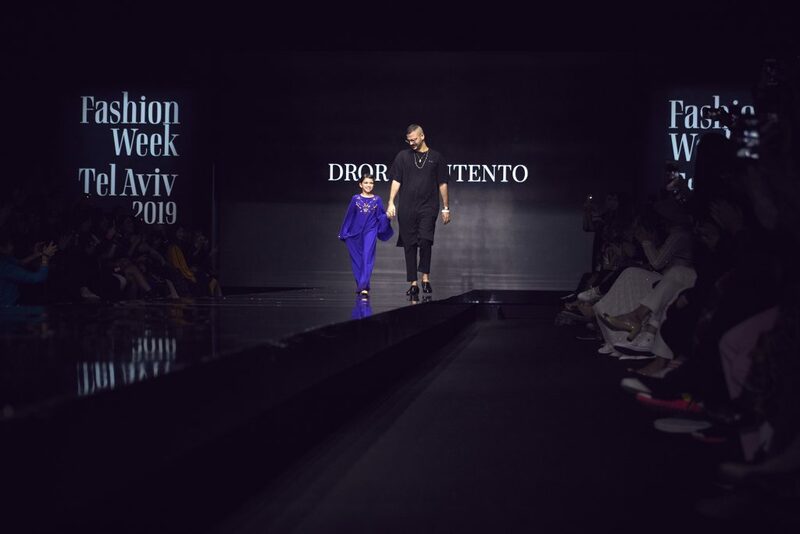 Tel-Aviv based Women’s designer Dror Kontento, presented his AW19 collection at Tel Aviv Fashion Week. 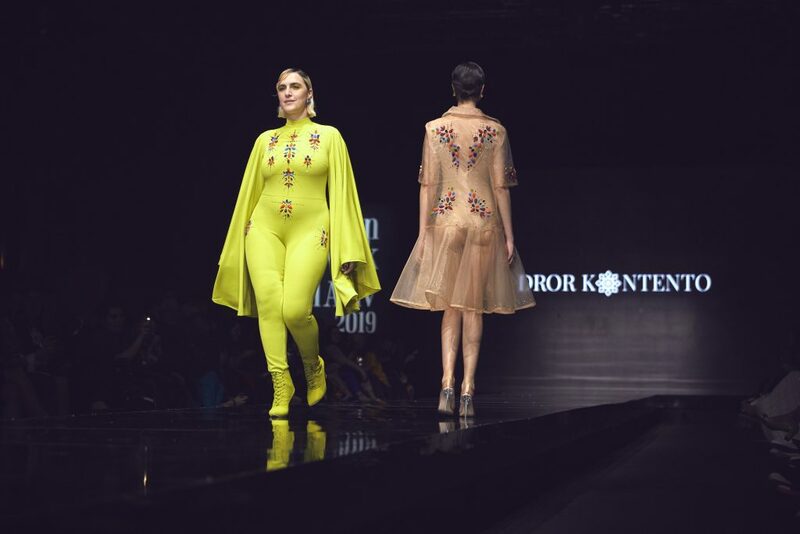 This season, the presentation caught much attention once again not only because of the exquisite feminine designs, but also due to the fact that the designer chose to present his love to the female body by sending out to the runway a range of models with different body types, including beautiful plus size models confidently walking down the catwalk. 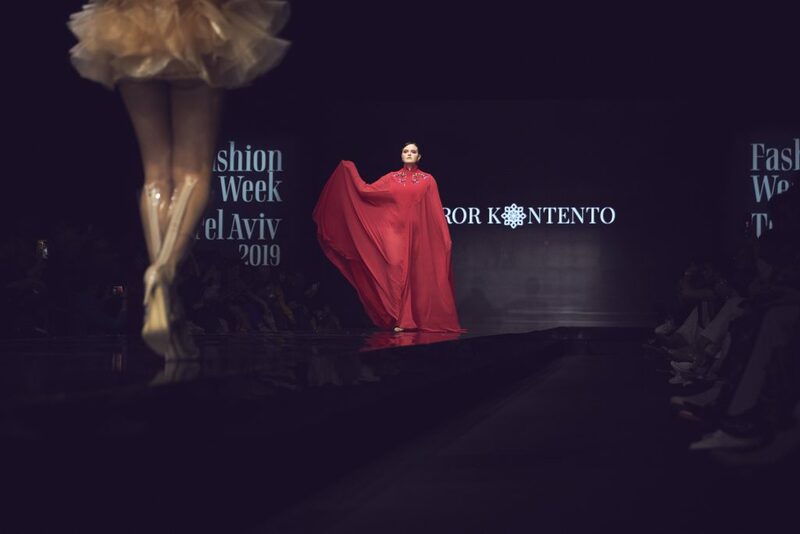 This was an overall message sent to the world and the fashion community by Motty Reif, founder and chief producer of Tel Aviv Fashion Week, and his team – trying to raise awareness on diversity in fashion. 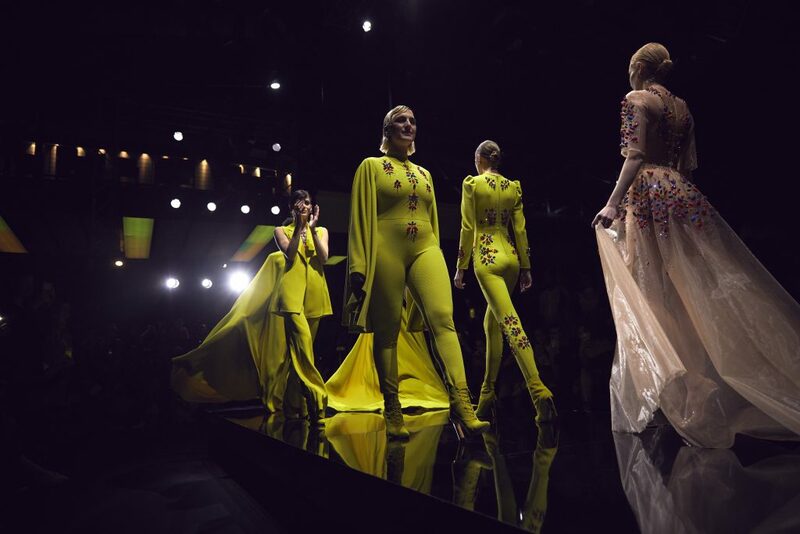 Israel is known to be one of the first countries to pass legislation in banning underweight models from catwalks and advertising campaigns. 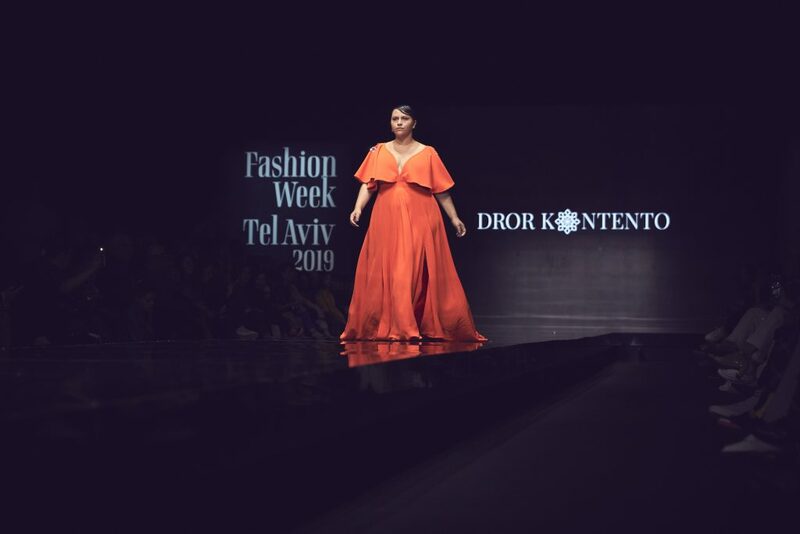 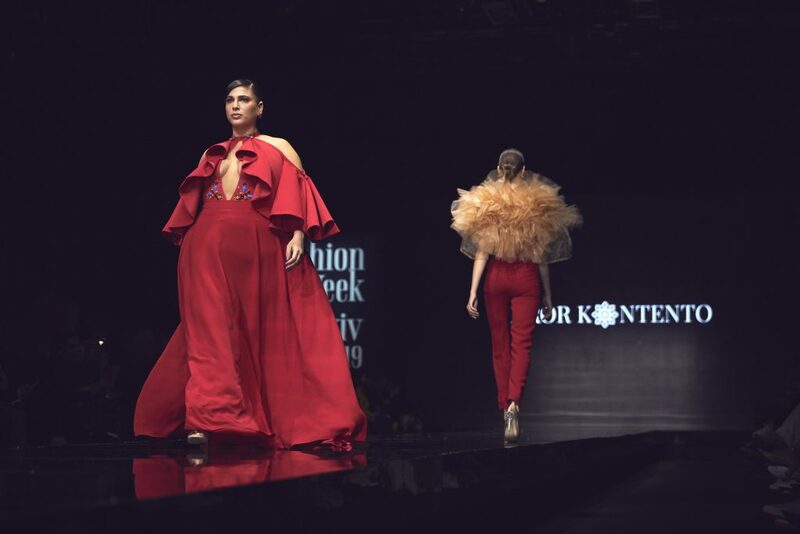 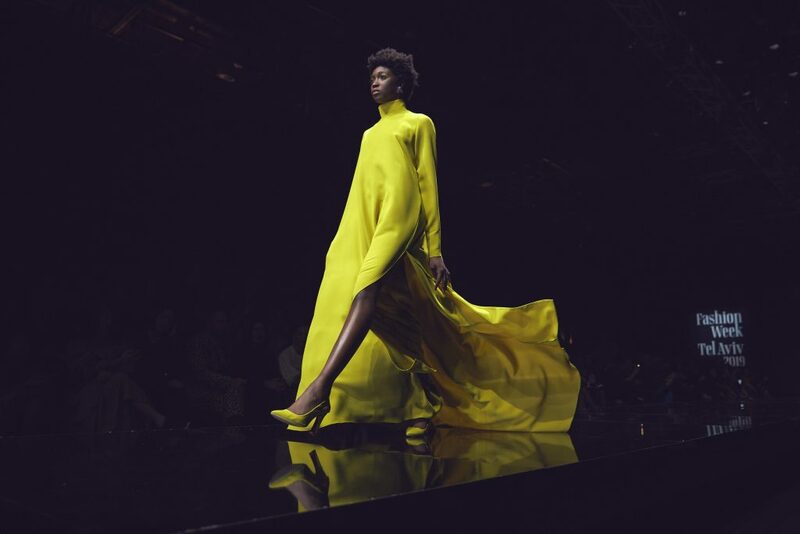 Dror kontento’s collection this season was bolder – presenting dramatic designs in a selection of striking, eye catching colours such as neon yellow, purple, orange, green and red. 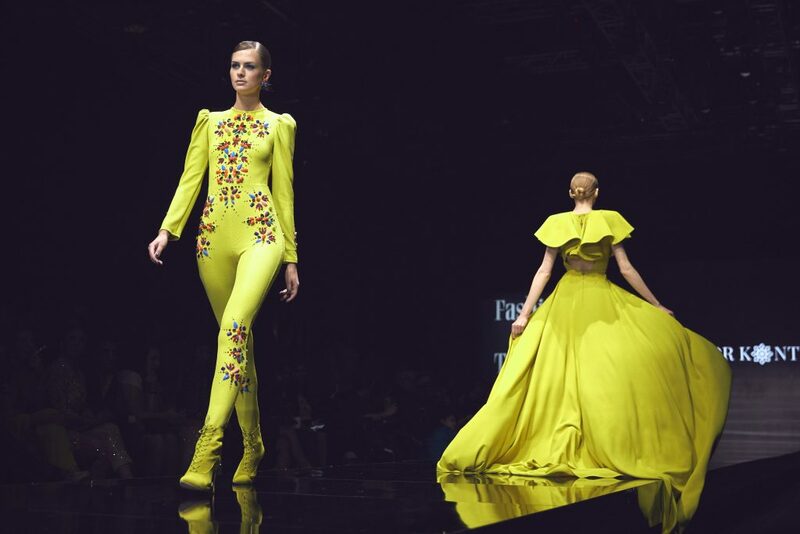 The designs were ultra-feminine, with the designer’s handmade signature swarovski crystal appliqués adding his special touch. 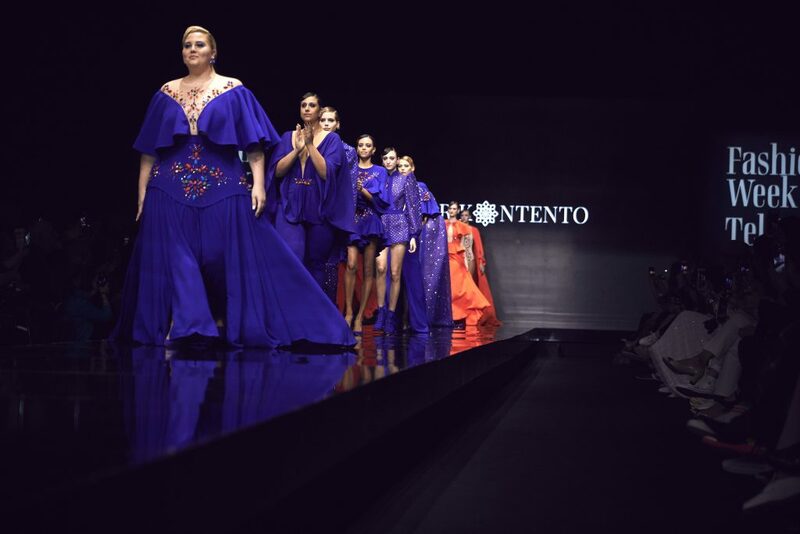 Presenting a beautiful display of dramatic capes, jumpsuits, kaftan dresses, organza and tulle dresses with evident Latin references – the body-hugging silhouettes, daring and revealing at times, celebrated the woman figure of all shapes and sizes, detaching from the traditionally uniform beauty standards dictated by the Fashion industry.  Detailing. 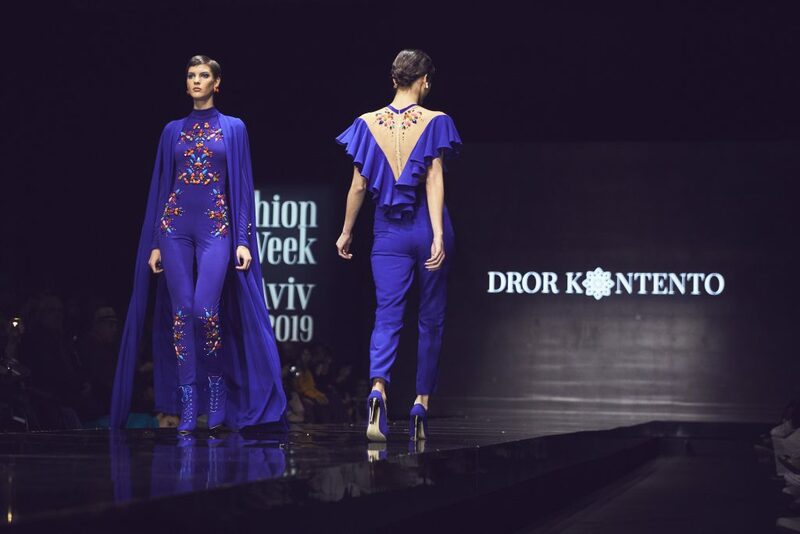 backstage at the Dror Kontento AW19 catwalk show. 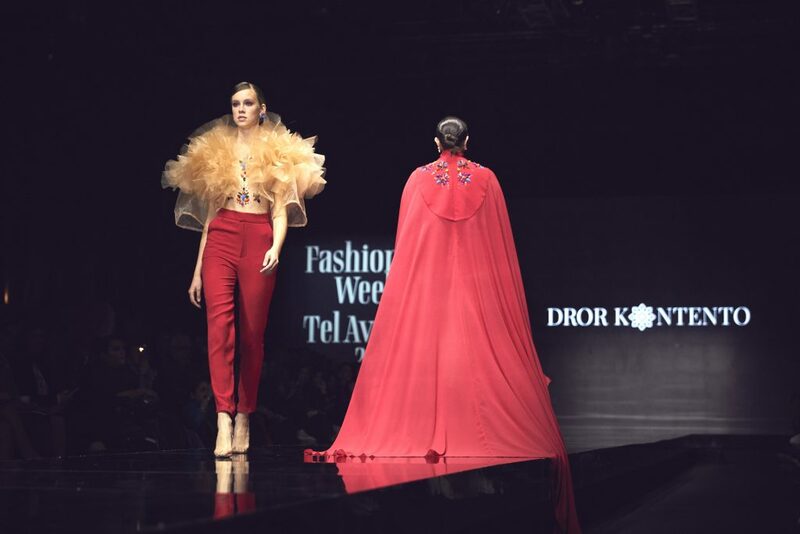 Tel-Aviv Fashion Week. 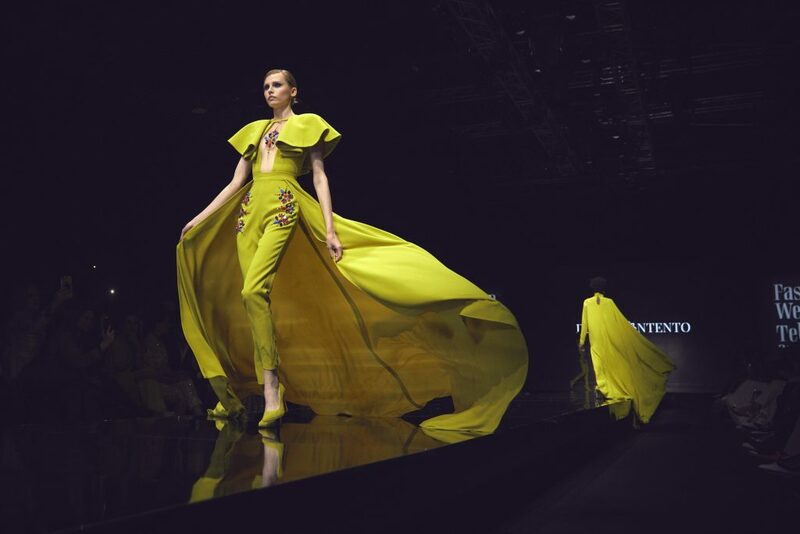 Femininity. 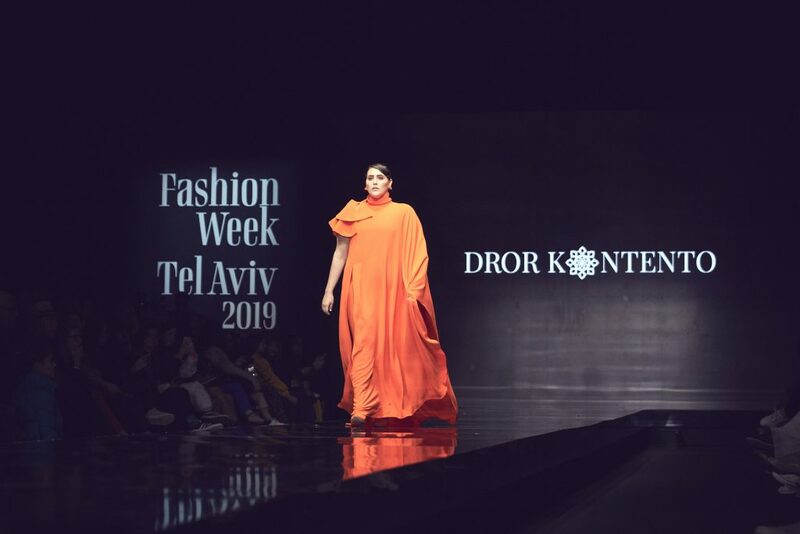 backstage at the Dror Kontento AW19 catwalk show. 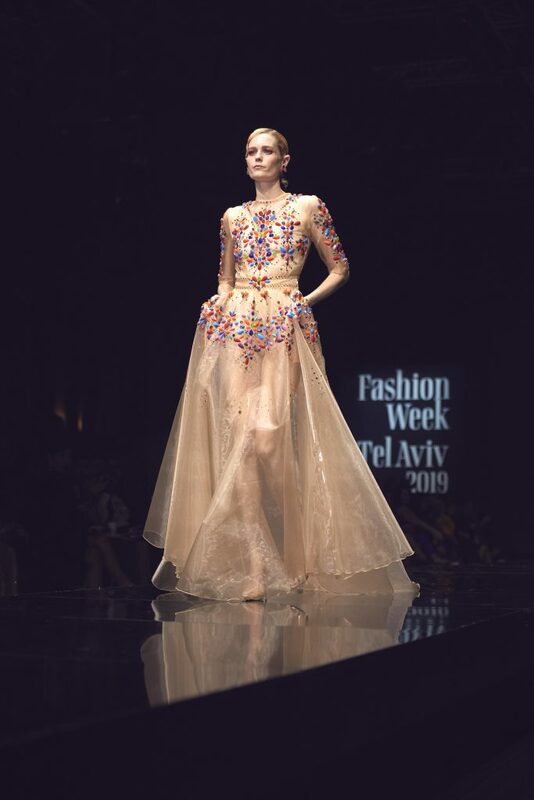 Tel-Aviv Fashion Week.